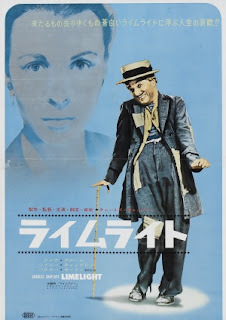 Late period Chaplin drama about an on his uppers former clown star (Chaplin), and the dancer he saves from suicide (Claire Bloom). Limelight is a lot of things; a drama about getting old, Chaplin dealing with his waining fame, the death of music-hall, London and WWI amongst others but the one thing it isn’t is a comedy. This is Chaplin being all grown up and serious. It’s good, not great. But that’s mainly down to the fact that it’s impossible to view it without thinking of Chaplin’s previous films. At times it drags its feet a little. Worth seeing for the musical sequence with Buster Keaton alone, which is up there with Chaplin's greatest moments.